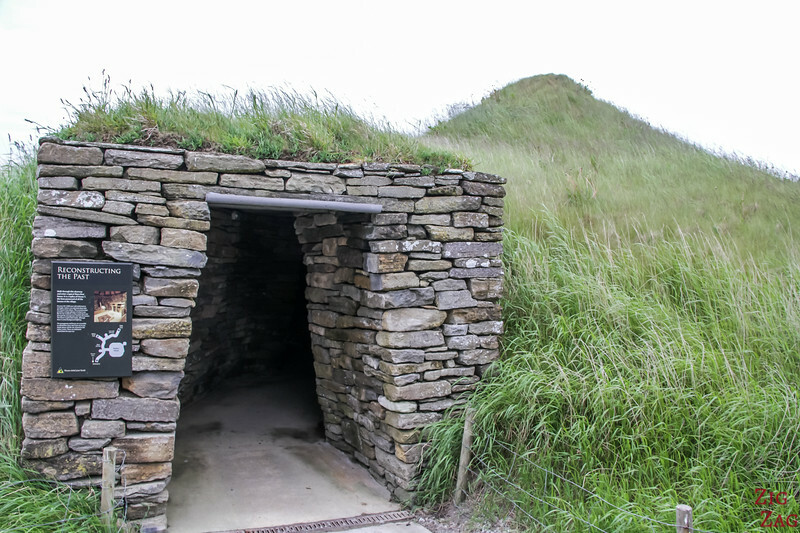 After the exhibition, you walk outside and you can first enter the replica of one of the Skara Brae Houses. 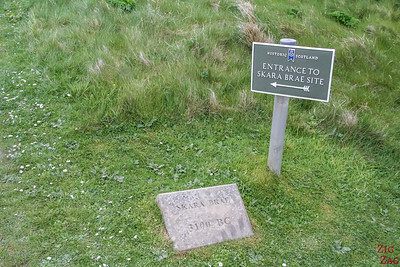 The site being 5000 years old, it is very fragile. 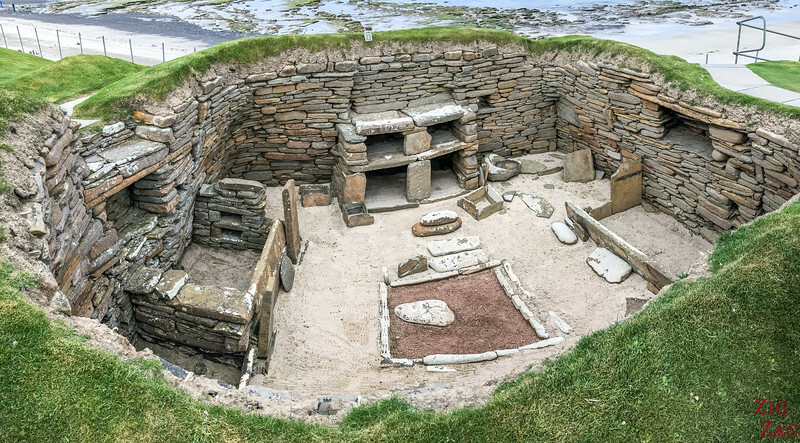 This is why you cannot walk inside the houses but just look at them from above. 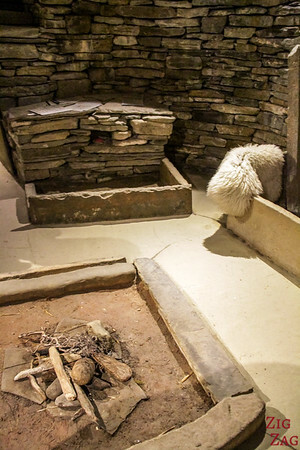 So, to allow the visitor to better understand the living set up and conditions during the neolithic, the site has made a replica of House 7 and placed tools and 'furniture' inside. 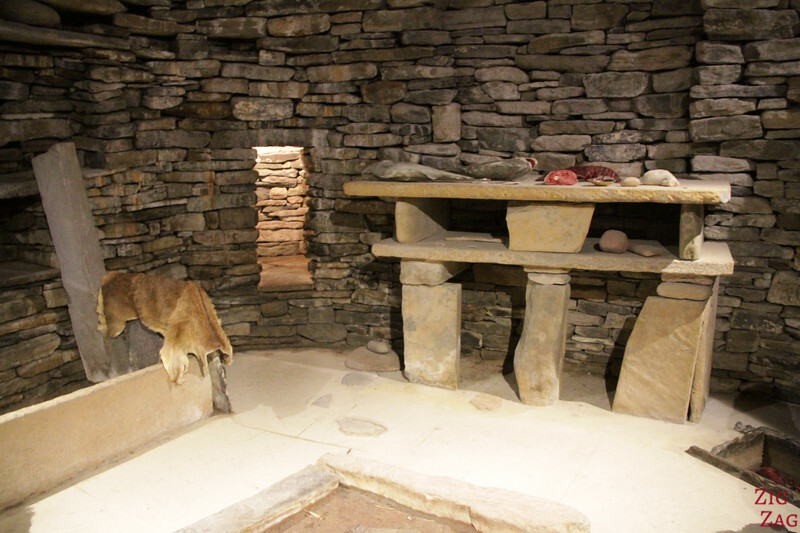 House 7 is the best preserved of the Skara Brae houses providing much information about the living conditions in the settlement. 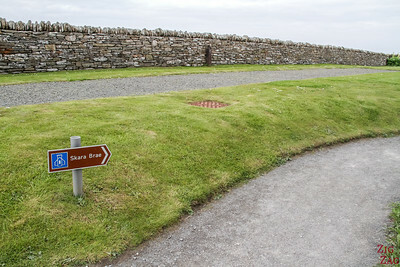 After exiting the replica house, a well maintain path takes you towards the sea (at the Skaill Bay) and the Sakra Brae on Okrney site. 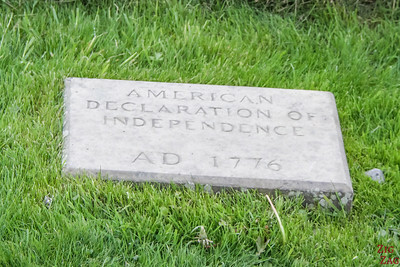 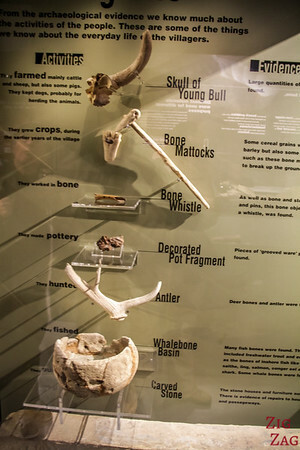 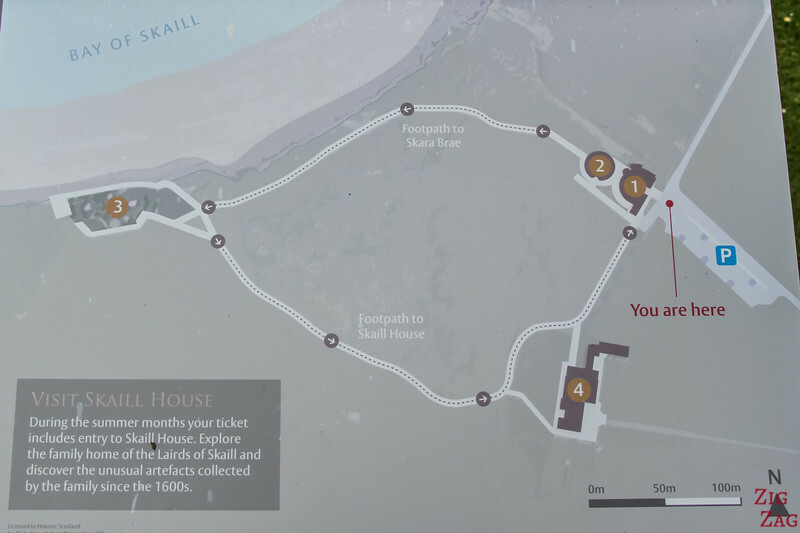 It is very well done as they have set up stones along the way to create a timeline with significant events in order for the visitor to realize how old the site is. 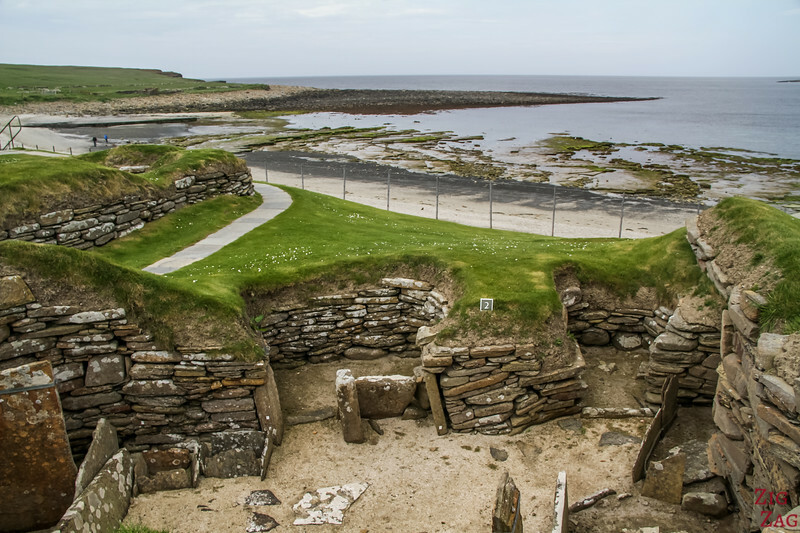 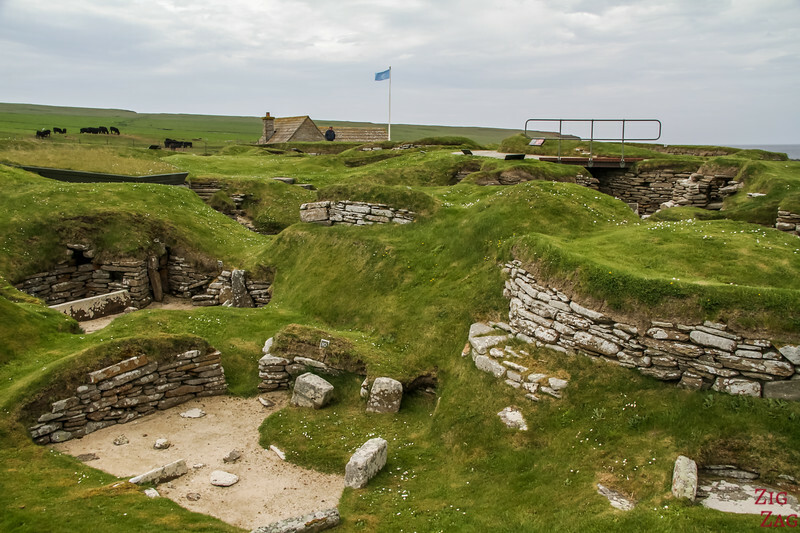 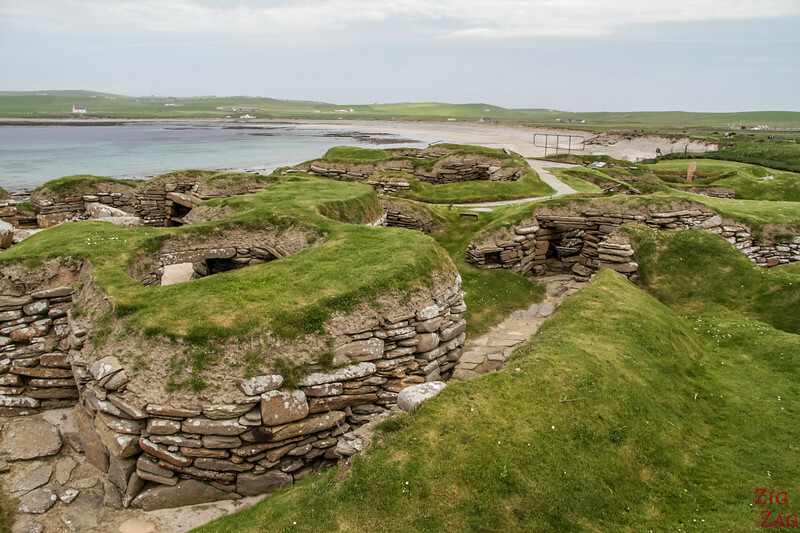 The Skara Brae houses date back to 3100 BC​. 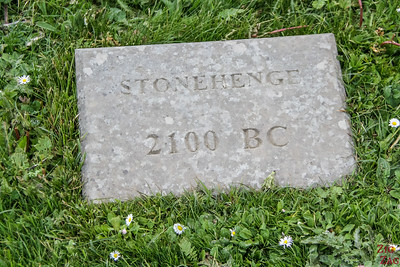 Older than Stonehenge (2100BC) and older than the pyramid of Giza (2500 BC)!!!!! 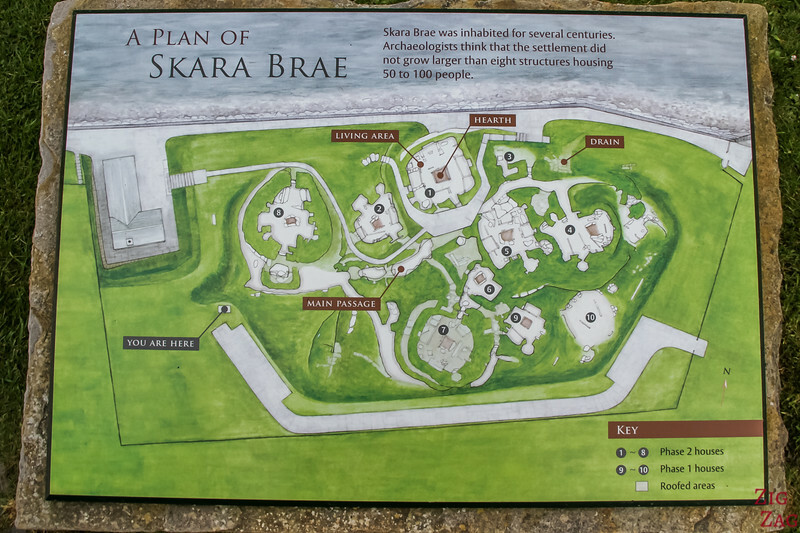 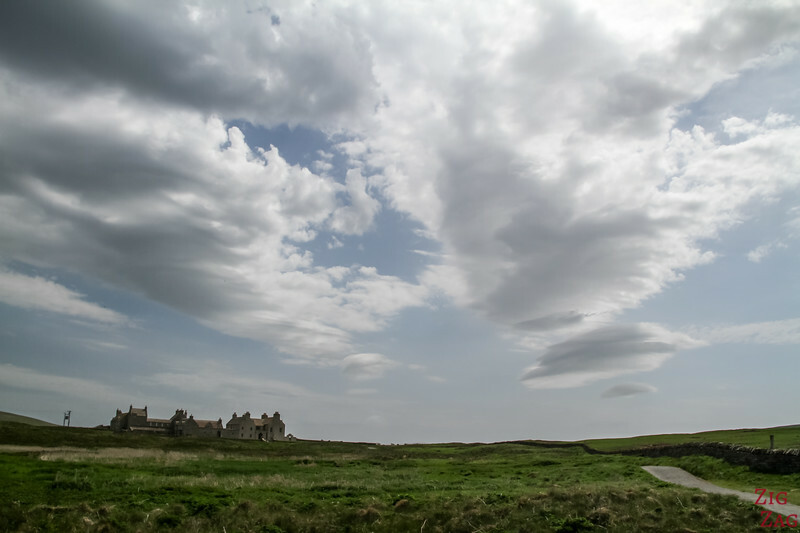 Skara Brae is part of the Unesco Site 'Heart of Neolithic Orkney' with Mae﻿﻿sh﻿﻿owe Chambered Cairn, the Ring of Brodgar and the Standing Stones of Stenness. 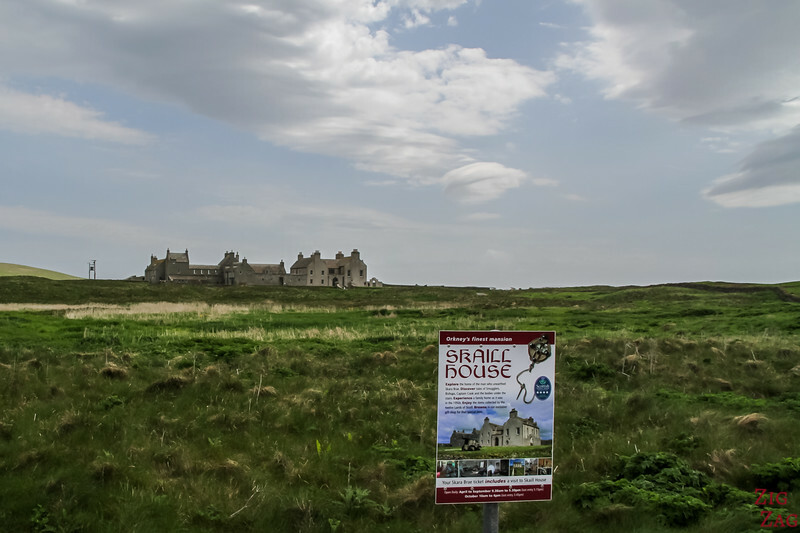 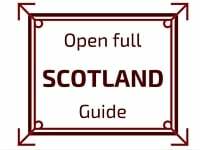 With your ticket you can also visit the Skaill house, considered one of the finest mansions in Orkney. 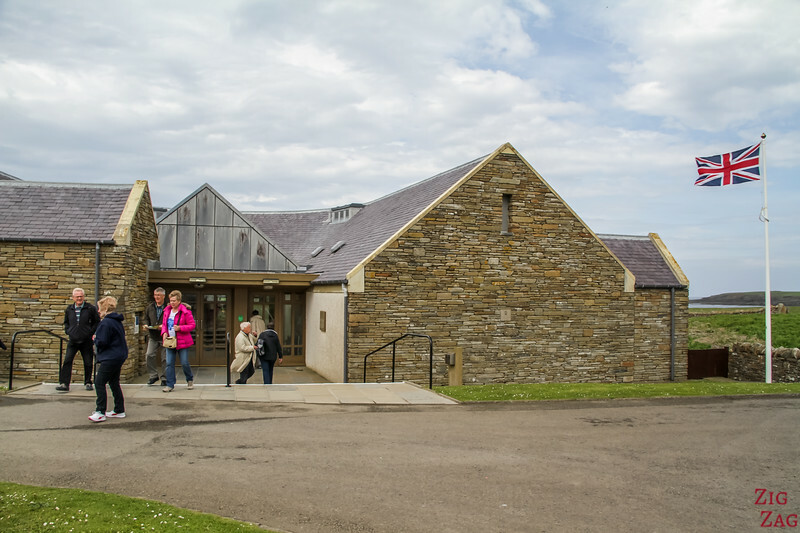 It has been set up as a museum and you can see how people use to live in the 1950s. 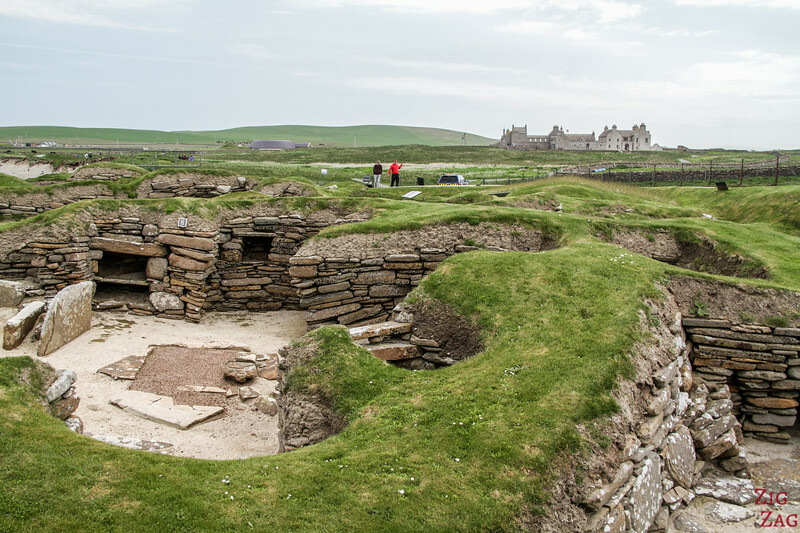 I have not visited to save time for odler sites such as the Broch of Gurness and the Ring of Brodgar. 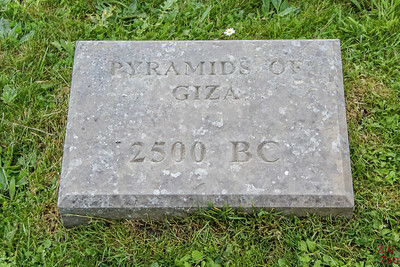 Can you believe it is older than the pyramids?